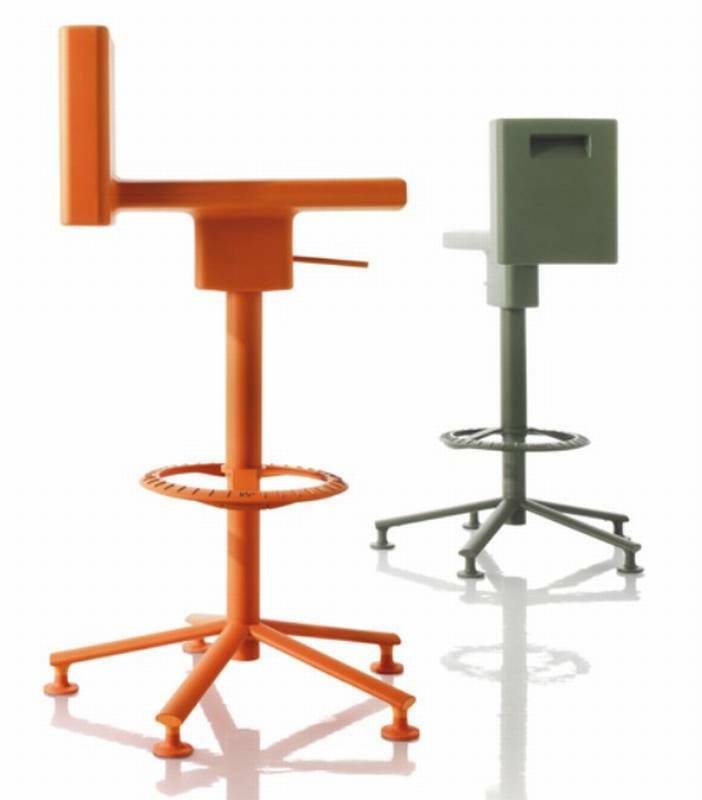 Description Swivel stool on star base, with adjustable height. Frame in steel tube painted in epoxy resin, footrest in die-cast aluminium. Polyurethane seat in a choice of colours.